Veneers are ultra-thin, custom made porcelain/ composite shells that are bonded to the front side of teeth which are able to change the shade, shape, colour and position of teeth to mainly improve an aesthetic appearance and to save the teeth from any further damages. Veneers may also be used to cover up any discoloration and stained teeth, crooked teeth, misshapen teeth, spacing problems, worn teeth, broken teeth, gap between front teeth and to change the shape or size of your teeth. 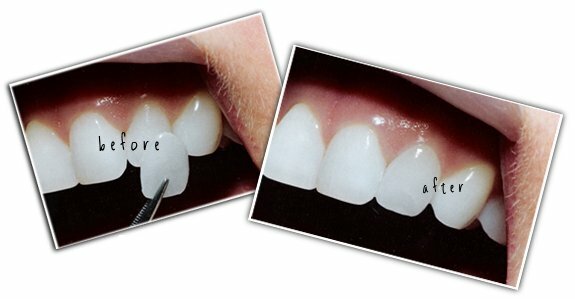 Dental veneers are primarily made up of either of two materials – Porcelain or Resin Composites. Porcelain is actually a white, vitrified semitransparent Ceramic material. They have better stain-resistance than resin veneers. Resin composite veneers are usually thinner than porcelain ones; thereby requiring a very little layer of enamels to be removed while being placed.